In 1960 a classic roadside attraction was created in Gatlinburg, TN known as Christus Gardens. It was an old school religious wax museum where you could walk through and observe scenes of the life and times of Jesus. In the South, where Jesus is King, Christus Gardens become the number one religious attraction in America. 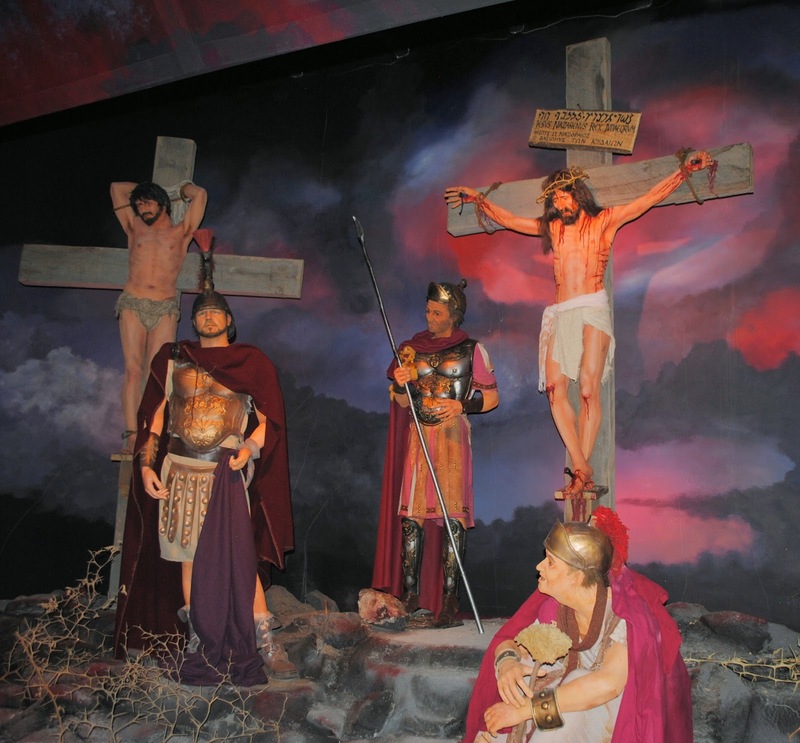 For decades families on vacation would come to see the life of Jesus made in wax. In 2007 Christus Gardens was closed. With Wax Museums past their golden age greedy developers bought up the land with the plan to bulldoze the building and build condos. 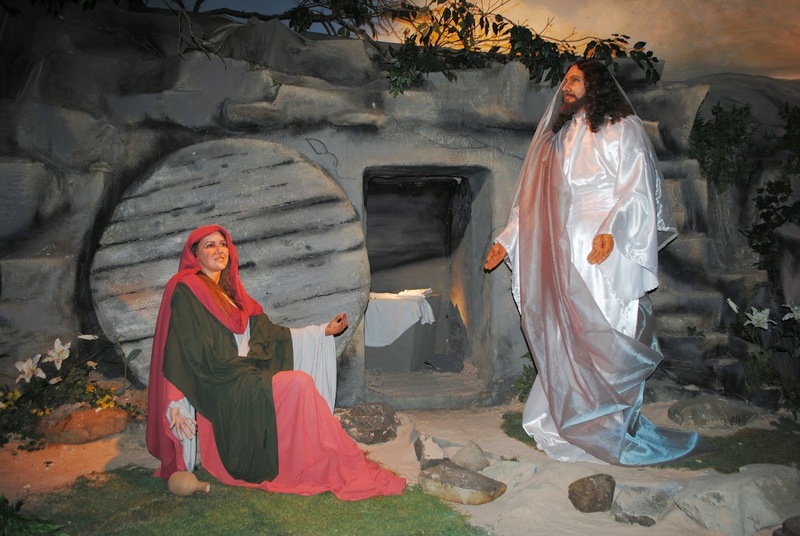 The wax figures were all packed up and purchased by mega-religous theme park "Holyland Experience" in Orlando, Florida. With the building empty and set for demolition and the wax figures gone, it would take an act of God to save Christus Gardens. Some could make an argument that this is what happened. Before the building could be demolished America was ravaged by a national housing crisis, which made the building of condos to be non-financially viable. At the same time the Hollywood Wax Museum chain decided that they were going secular and decided to sell off all their religious figures. The former art director of Christus Gardens, Mark Pedro, devised a plan to purchase the Hollywood Figures and reopen Christus Gardens. 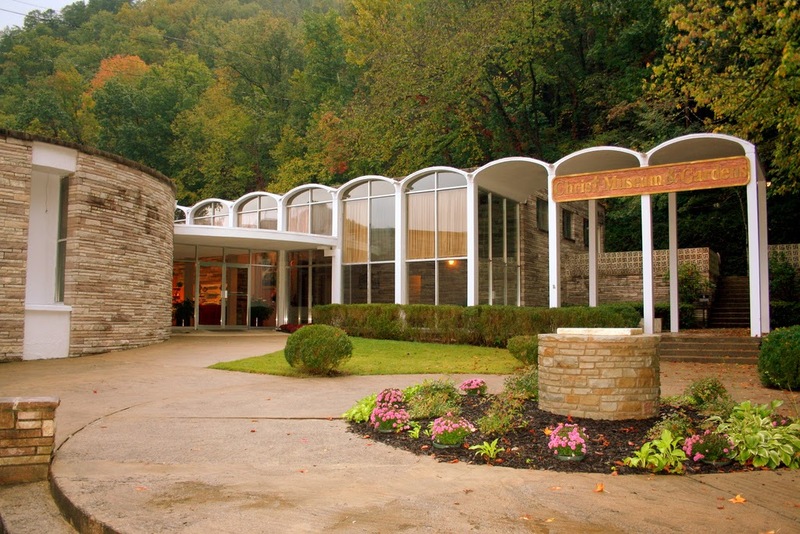 He found a financial backer and by 2009 Christus Gardens was reborn as Christ in the Smokies. I have visited the attraction several times since then and I recently had that exciting opportunity to be given a personal backstage tour by Mark Pedro himself, seen posing here at my request with the head of Country Singer/Sausage Entrepreneur Jimmy Dean. 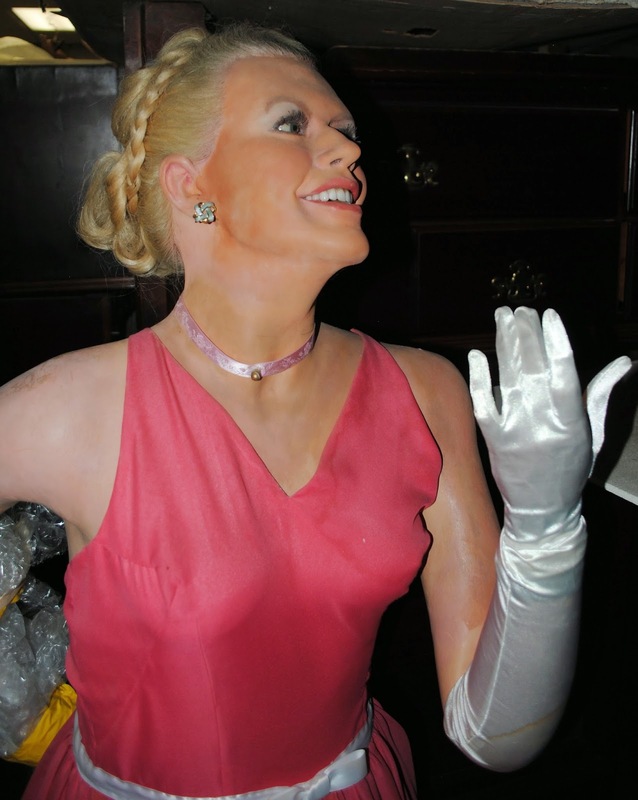 Now anyone that knows me, knows that being in the storage room of a wax museum is like a kid in a candy store. As well as a collection of Wax Heads, waiting to be repaired and turned into biblical figures. Here is Mark showing me the head of Tolstoy. In addition to being the driving force behind Christ in the Smokies Mark is a walking Encyclopedia on wax figures and wax museum. 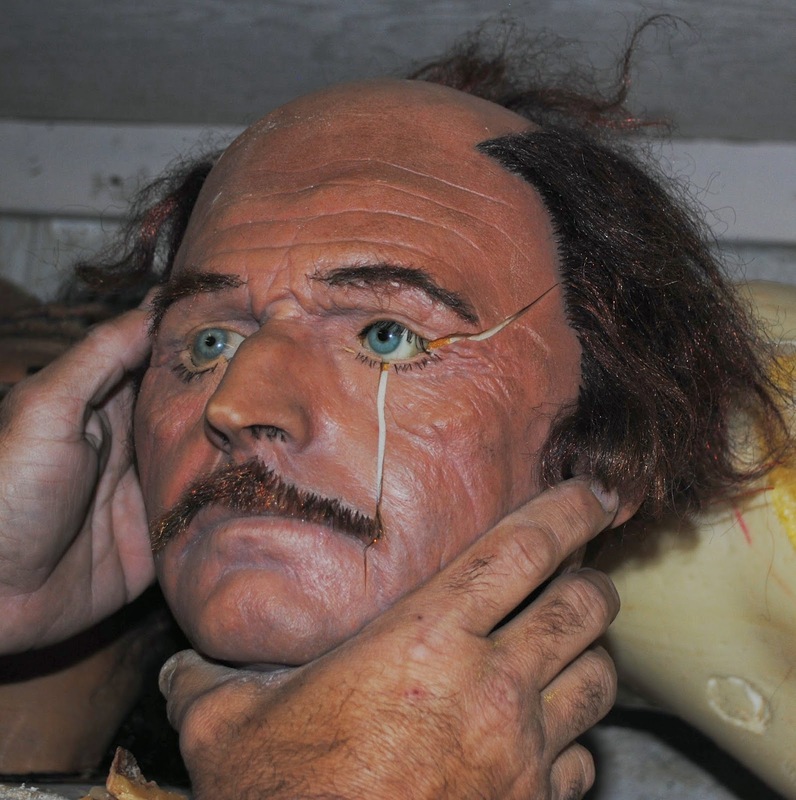 He keeps track of where different collections of wax figures end up after museums close down and keeps an impressive collection of vintage wax figure photographs, brochures and booklets. When it comes to the creation and maintenance of the displays in the museum, Mark is a one man show. Each scene is carefully crafted like a theatrical stage show, with amazing attention to detail. Mark strives hard for biblical accuracy and has altered past blond haired blue eyed Jesus figures and has given them a more realistic middle eastern look. I asked Mark about how he felt about the old Christus Garden figures, on display at Holyland Experience in Florida. I could tell this was a sore subject. Mark is not a fan of the way they are presented. I have not seen these figures myself, as I have not been able to make myself come off of the 50 dollar admission, but from what I understand the figures are now dressed in gaudy outfits with "an excessive amount of gold Lamé". Mark then gave me a guided tour of the attraction itself. 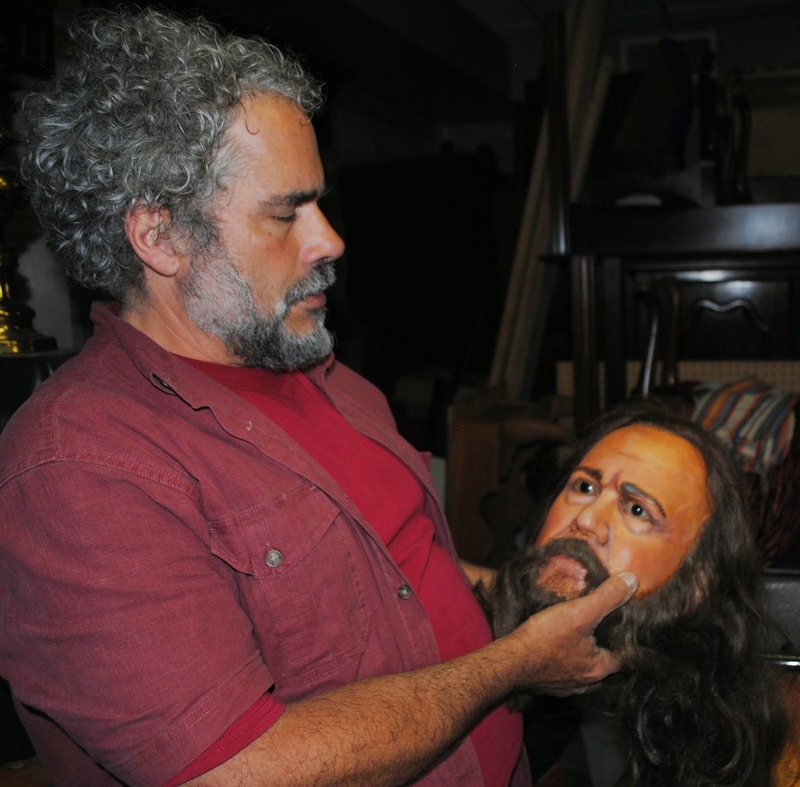 Christ in the Smokies is one of the most theatrical wax museums you will ever experience. You walk into each darkened scene and the lighting kicks in. The light shifts theatrically as the scene is narrated and the bible is quoted. 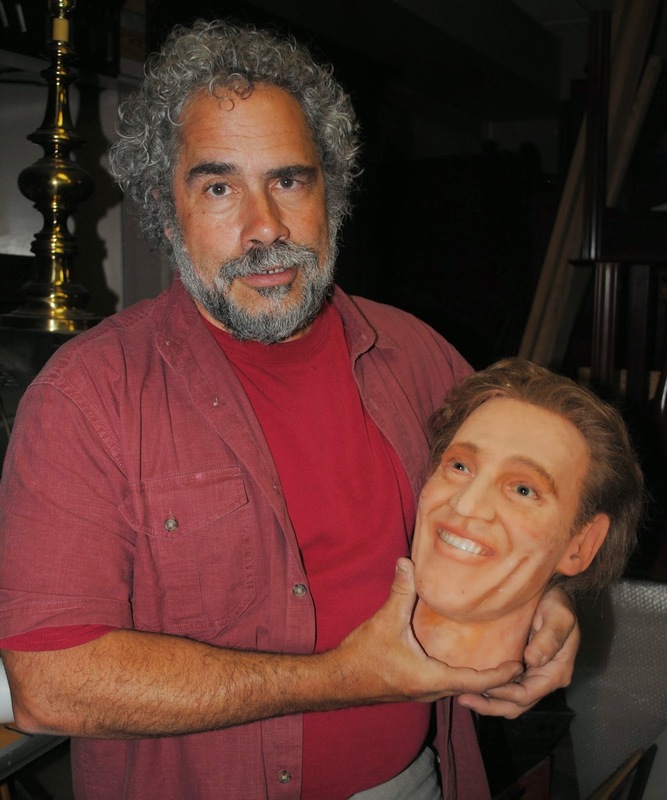 One interesting aspect of Mark's work is that while he was able to obtain the Hollywood Wax religious collection, this would not be enough to fill a whole wax museum, especially when Jesus is needed for every scene. So, Mark has had to re-purpose other wax celebrities into religious figures. I must say that Mark is a miracle worker. He let me know who several of the hidden celebrities were. I was unable to guess any of them on my own. Mark has done an amazing job of transforming these figures. I'm convinced that mark could take a Lil Wayne figure and turn him into a believable Jesus. I will resist the urge to go through pointing out these figures. Mark told me that feels that this aspect can be distracting to some people. If someone spots a celebrity, Mark will alter it. I can definitively understand. You don't want to take what is supposed to be spiritual experience and turn a game of "Where's Waldo". Just to show off Mark's skill, I will let you know that the following Jesus was at one time a figure of a major celebrity, but there is no way anyone could see anything but Jesus looking at it. Major thanks to Mark Pedro for taking time out of his busy schedule to give me a tour of this classic attraction. Please stop by and see it for yourself.